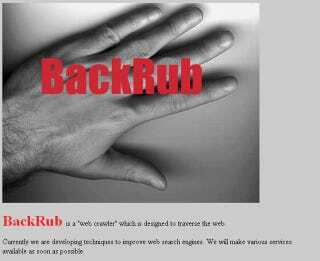 1996: Larry and Sergey begin collaborating on a search engine called BackRub. BackRub operates on Stanford servers for more than a year—eventually taking up too much bandwidth. You can read more about Google and the evolution of its logo below.